Our very own Geralyn Sy is back again today for her second feature of Design Inspiration! 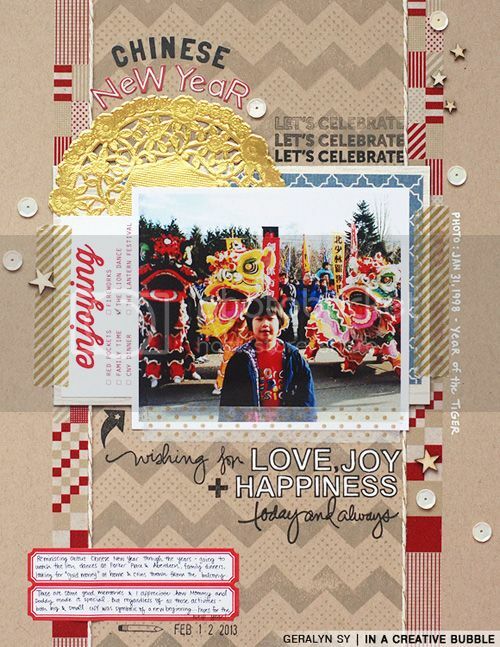 And it's a gorgeous layout celebrating Chinese New Year! I love all the reds and golds she incorporated. Really fun layout! Hi everyone! I'm back again today to share a new layout with you all. Since Chinese New Year has just recently passed, I decided to make a layout using an old photo I found in my albums. I decided to go with a traditional red and gold theme and I used some of the new Mama Elephant stamp sets. I really wanted to use the cool chevron border stamps in the Modern Borders stamp set, so I started off by stamping them in grey ink on kraft paper for the background of my page. After that, I started layering papers, embellishments and photos. The new stamp sets have lots of great words and phrases. I used a bunch of them to further embellish my page. 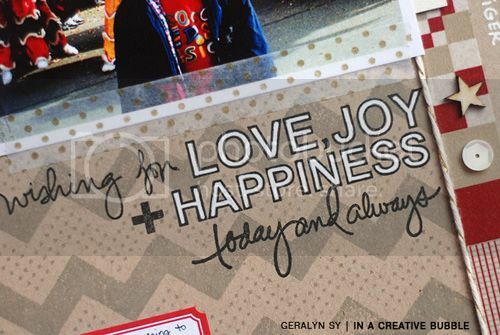 I also altered the 'wishing you' stamp in So Breezy to say 'wishing for' so that it would with the topic of my layout. I hope to see you use the new Mama Elephant stamp sets on layouts of your own! Please link us up if you do or upload them to Mama Elephant's flickr page HERE. Fantastic stuff Geralyn! I love how you put the sentiments together! And the stamped background is amazing!